As a child in Northern Ireland, Kenneth Branagh was impressed by Burt Lancaster in The Birdman of Alcatraz. When he was ten years old, the Branaghs moved to England to escape the troubles, and in his new school young Kenneth "played the role" of an English boy, reverting to his Irish accent only at home. He was usually cast in the lead in school plays, and after watching 16-year-old Branagh's performance in a school production of Oh, What A Lovely War, his drama teacher pulled him aside. Branagh expected a word of encouragement or a bit of advice, but instead his teacher took a deep breath, and told him he should consider acting as his life's work. He attended the Royal Academy of Dramatic Arts, where he studied under Jonathan Pryce, and he was working regularly on British television even before graduating. He made his debut on the London stage in Another Country opposite Rupert Everett, winning a Best Newcomer award, then toured with the Royal Shakespeare Company. By his mid-20s Branagh was directing plays, staging them with his own Renaissance Theatre Company, and being acclaimed as London's next Olivier. In his first film appearance, he starred as D. H. Lawrence in Coming Through. At the age of 28 he wrote his autobiography, Beginning, which struck some observers as a bit cocky, and in his first film as director, he starred as Shakespeare's Henry V. This was a direct challenge to Olivier's legacy, since Sir Lawrence had directed and starred in a critically acclaimed 1944 film of the play, but Branagh's version was just as well-received, and became an art-house hit. He married Emma Thompson, then best known as a comedian, and took her to Hollywood, where they co-starred in Dead Again, a dark "date movie" that expanded Branagh's fame beyond snooty cinema and into the mainstream. Then, combining his art-house and Hollywood mojo, Branagh filmed another Shakespeare play, Much Ado About Nothing, with an all-star cast, including Kate Beckinsale, Keanu Reeves, and Denzel Washington. After that came Branagh's spin on Mary Shelley's Frankenstein, which has proven to be the unfortunate turning point in Branagh's career. With an unlikely Robert De Niro as the monster and Branagh as the mad scientist, the film is a thoughtful reimagining of the familiar story, but it bombed at the box office, and Branagh and Thompson divorced shortly thereafter. She has gone on to continued success, but Branagh's career has sputtered ever since. He now works much more often as an actor than a director, including roles in the second Harry Potter film and Wild Wild West with Will Smith. As a director, his last film to draw more than modest praise and attention was another all-star Shakespeare film, the 1996 Hamlet, but its running time -- more than four hours, start to finish -- kept the film from drawing much business at the box office. 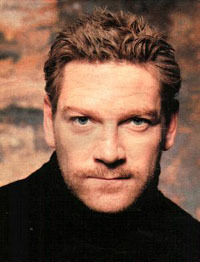 Branagh was romantically linked with actress Helena Bonham Carter for several years, after he had her character memorably decapitated in Frankenstein. Their relationship ended when Branagh was caught dating her friend, Lindsay Brunnock, whom Branaugh has since married.